Honourable Minister of Transportation, Rt. Hon. 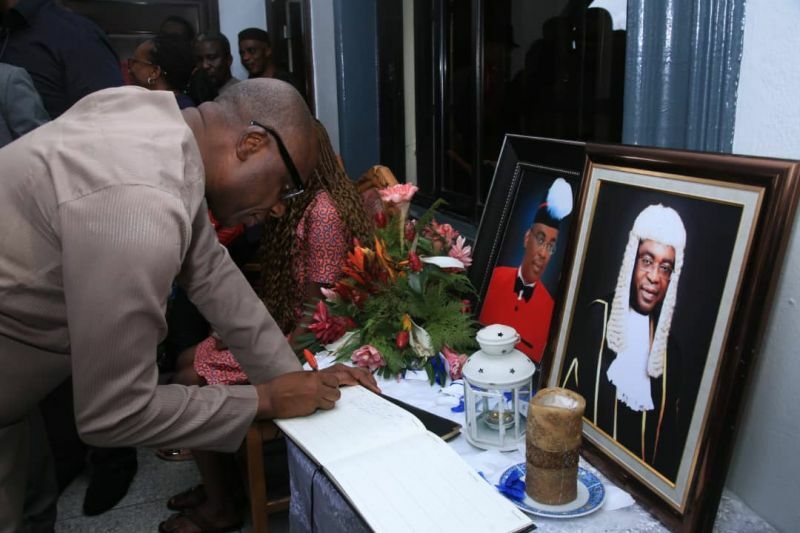 Chibuike Rotimi Amaechi, signing the condolence register in honour of the Late Rivers State Attorney-General and Commissioner of Justice, Emmanuel C. Aguma at his residence in Ogbunabali, Port Harcourt, Rivers State, on August 14, 2018.